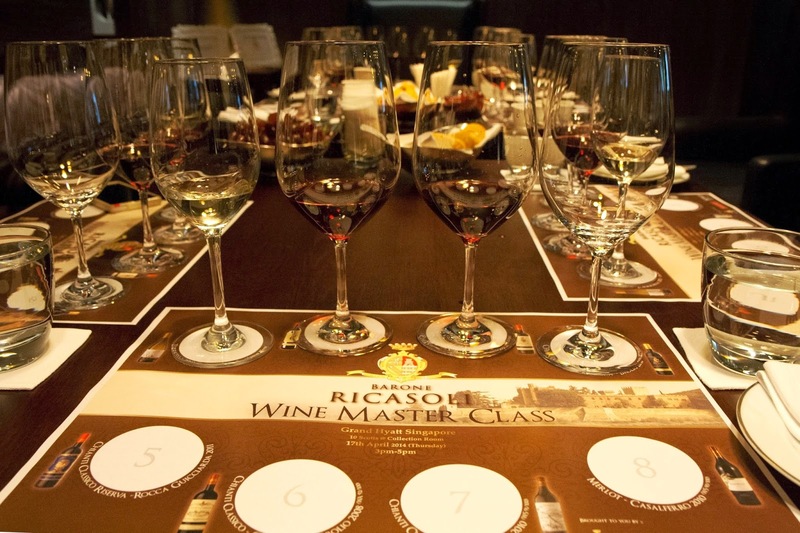 I had the opportunity to attend the Barone Ricasoli Wine Master Class held last week. It was organized by The Straits Wine Company. 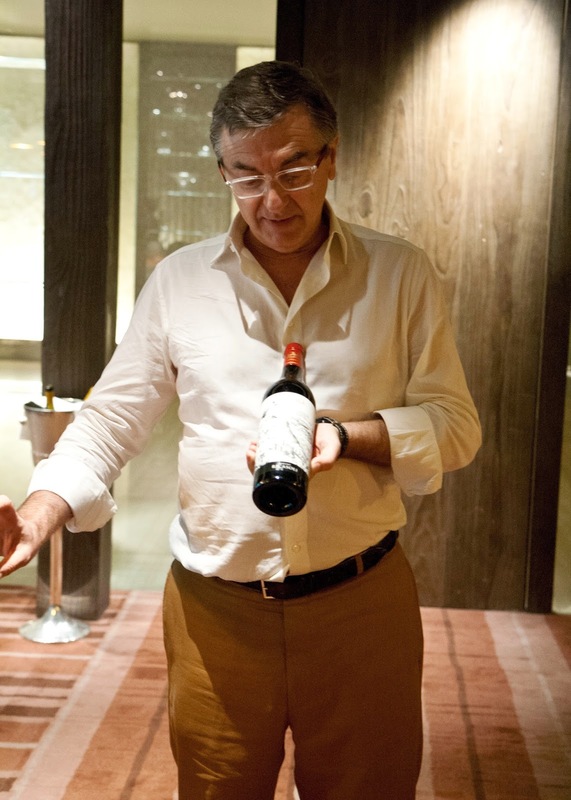 Participants who attended this tasting were fortunate enough to get an introduction to the wines at hand by Barone Francesco Ricasoli himself (the current owner of Barone Ricasoli Winery and the 32nd-generation baron of his family). The first time I chanced upon this name was when I was pursuing wine courses and was introduced to the history behind Chianti and the Tuscan wine region. A little history. The Ricasoli name played an active role in the production of Tuscan wine during the Middle Ages. Later Barone Bettino Ricasoli (an ancestor of the current Barone) gained recognition for his efforts in undertaking research into producing Chianti wine of better quality and for coming up with the ‘Çhianti formula’ for quality wine (based predominantly on Sangiovese but with the inclusion of two other local varietals). The current Barone, Francesco Ricasoli, communicates a similar passion not just for producing wine but for research into better Sangiovese clone selection, viticulture and improving winemaking techniques. During this masterclass he highlighted the efforts made in the last 2 decades within his estate in relation to replanting vines with those from better Sangiovese clones, reducing yield to improve the quality of grapes, improving winemaking methods within the winery and taking steps to produce wines which reflect the terroir of Brolio. He expresses keen interest in studying the effects of different Sangiovese cuttings on different parcels of land and propagating selected cuttings for future use (and benefit) of everyone. His philosophy revolves around trying to find out ‘why things are as they are’ (rather than just accepting what is); and in trying to find strategies to reduce ”the possibility of making mistakes” in viticulture and wine making ( rather than in just focusing on “making things better”). The 2011 Torricella white expresses freshness and minerality when tasted on the colder side; but it goes on to reveal fruit flavours in palate when drank slightly warm. It makes a pleasant sip reflecting good structure and refreshing acidity. The 2012 Chianti likewise reveals itself as a pleasant, clean, easy to approach sip with youthful red fruits offering vibrancy and refreshing acidity at play in the badly. In contrast, wines number 3, 4 and 6 (from Brolio) take on a firmer body, a higher degree of complexity, flavour character revealing more ripe plums, blackberries, dark cherries and spicy notes (all in a restrained rather than a loud style); a good measure of tannins within the body and a finish which recalls the acidity within the wines. The addition of Merlot and Cabernet Sauvignon adds depth, dimension and a darker fruit profile to these wines. In the glass, these wines showed themselves as rather ‘çlosed’ when the masterclass just commenced. It took slightly more than an hour for these to open up and reveal their characters. Some aeration certainly helps with these wines. The 2011 Rocca Guicciarda has aromas which leap at you as you draw closer to the wine, and the aromas grow stronger in intensity as aeration progresses in the glass. It offers a smooth, supple body (yet slightly leaner when compared to the red wines mentioned in the above paragraph). Though a young wine, it comes off as an approachable wine which is enjoyable to drink at this moment (just needs a little aeration). The 2010 Colledila, made exclusively from Sangiovese, shows what a good Sangiovese clone can achieve in the right environment. Good structure, well integrated tannins (which reveal a degree of austereness in the palate) balanced with good acidity; dark cherry and spice flavours with a lingering finish. This wine shows what a single varietal Sangiovese wine can do given the right vine, yield and vinification. The 2010 Casalferro, made exclusively from Merlot, reveals red fruit characters in the palate; a supple, integrated body and a pleasant mouthfeel. It comes off as a wine with a degree of elegance; revealing fruit flavours without being ‘fruity or plum dominant’ in nature. A wine which shows differently from one’s usual expectation of a merlot based wine. These wines are available at The Straits Wine Company retail outlets. Barone Ricasoli Wine Master Class Photo Album.